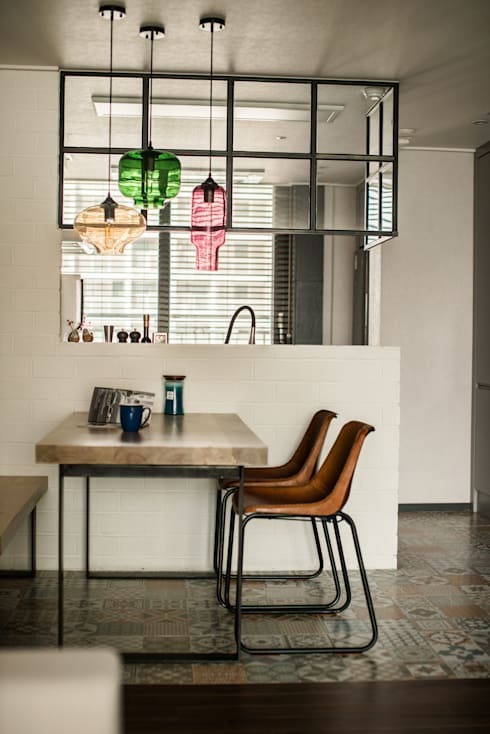 Pendant lights are at the forefront of design trends at the moment. These small, drop-down lights offer more than just illumination. They highlight the different zones of an open-plan layout, provide task lighting and add a chic, stylish look to the home. Consider how a set of chic pendant lights will instantly transform an ordinary dining table into a dining area. 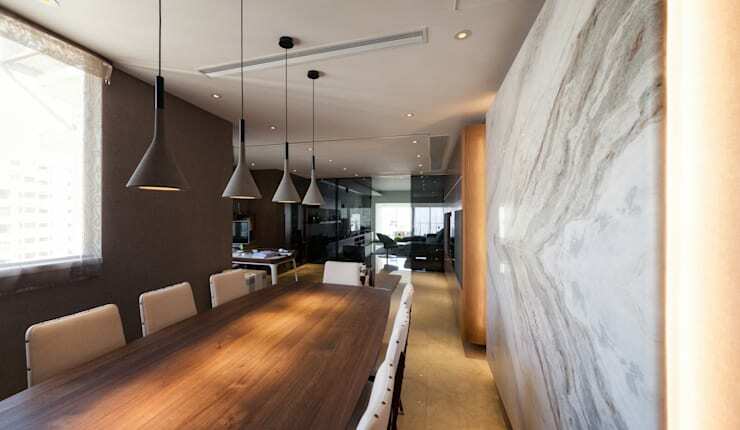 This minimalist monochrome interior has great pendant lights over the dining table. They add a lot of focus to the dining area without adding a whole lot of visual weight. The varying height of pendant lights can add an almost other worldly beauty to a room. 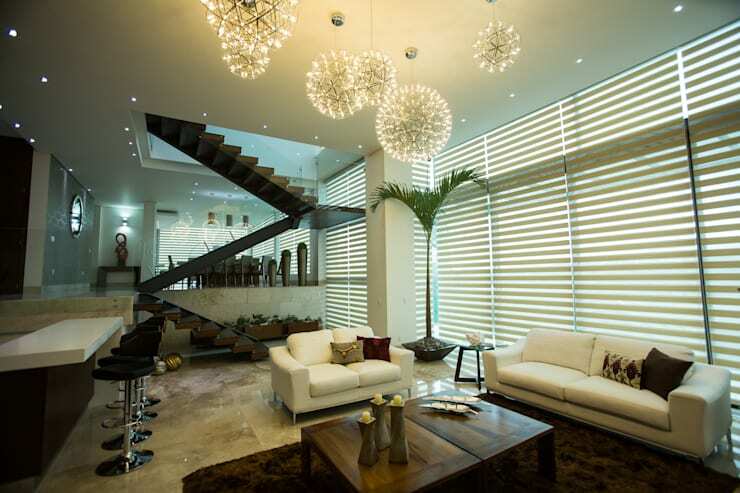 Check out the star-like patterns of light in this living room. 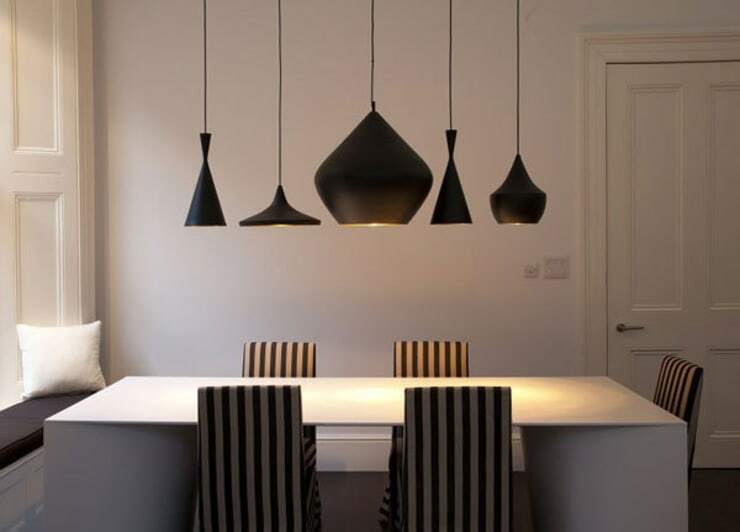 These awesome black pendant lights add a sculptural element to this dining room. The lights are all hung at exactly the same height and this perfectly highlights the different shapes of the lights. These brass pendant lights look great over the breakfast bench or kitchen island. This interior comes to us courtesy of Hong Kong interior architects Arctitude Design. If you want a little old-style charm, these 1920s-style pendant lights might just hit the spot. They are composed of hundreds of fine threads and provide the gentlest illumination. 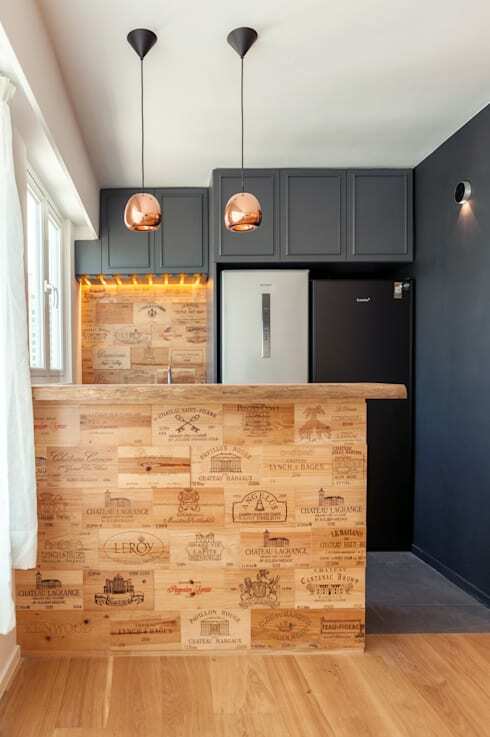 A perfect choice for a home bar! Concrete pendant lights are hugely popular at the moment. They work well in minimalist and industrial style interiors. They are often left unpolished and the surfaces are beautifully raw and stippled. Antique style bulbs are just so beautiful that it seems a shame to hide them behind shades. See how these lights have been housed in an open, wire framed construction. The best pendant lights are often composed of an odd number of lights in slightly varying shapes or sizes. The extension wire often turns into a decorative element as well. 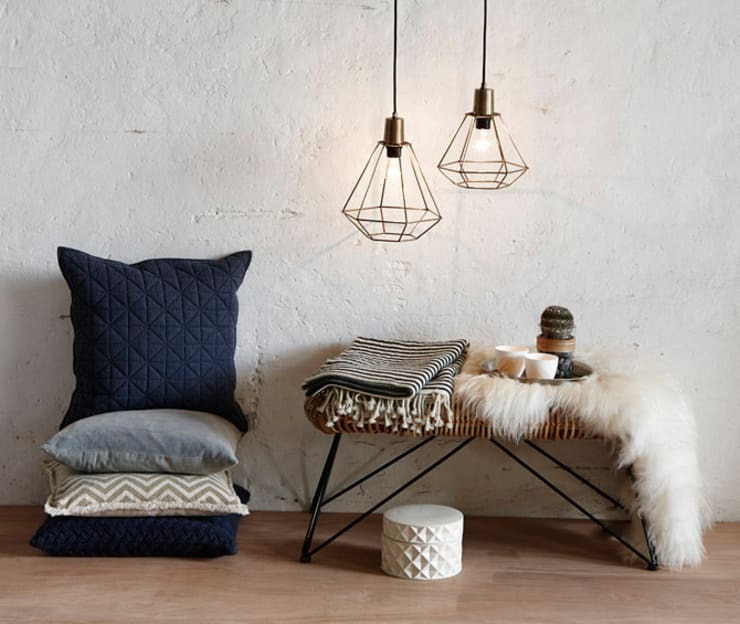 These cool Nordic pendant lights tick all these boxes! These coloured lights have retro curves and a lot of style. They also add a very subtle colourful element to this interior. Note how they are all very slightly different in shape. 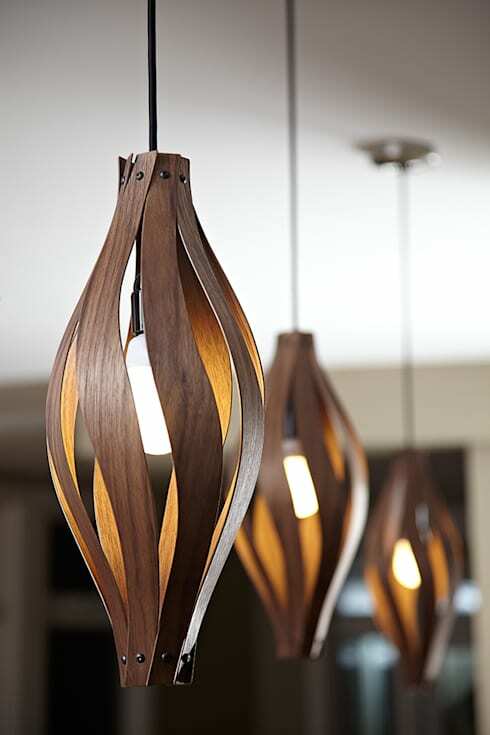 If you want to add a wooden element to the home, these elegant pendant lights might suit. They are full of curves and definitely have style! 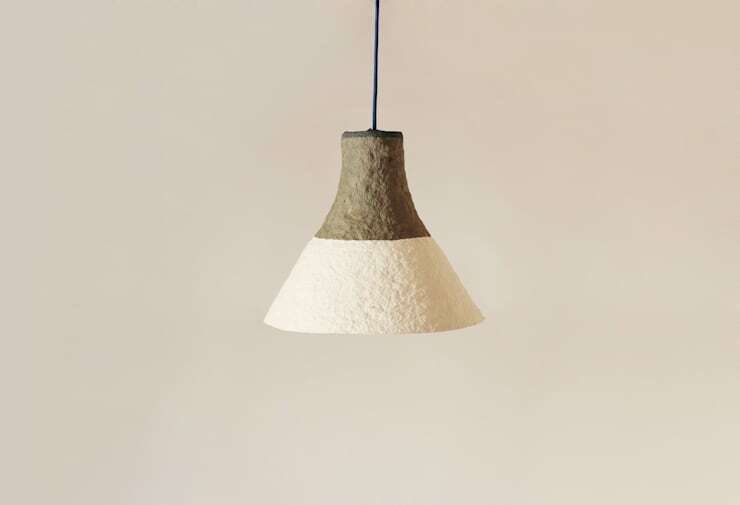 Paper pulp pendant lamp “Cypisek"
This lamp is made entirely from paper pulp obtained using only old newspapers. It's 100 % recycled and eco-friendly. It also has a softly textured look that would suit a huge range of interiors. If you want to see great lighting at work in a fabulous home, check out this project The narrow Mexican home that feels huge. 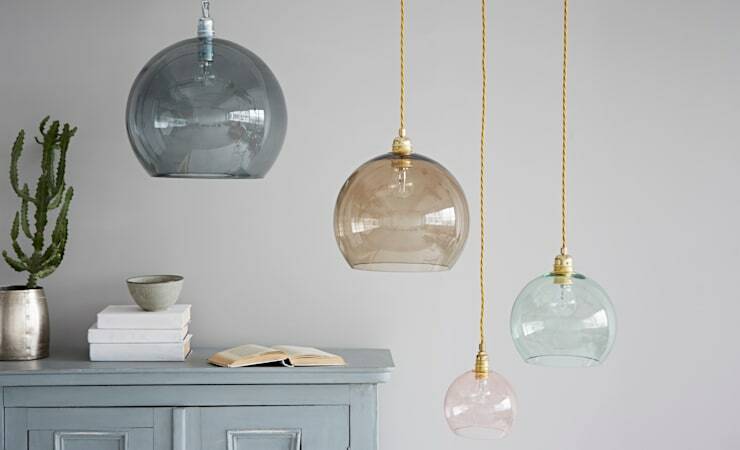 Which of these pendant lights is your favourite? Let us know!